Partnership program for Columbia County local business owners. Program Format includes up to 3 interviews typically 8-10 minutes. 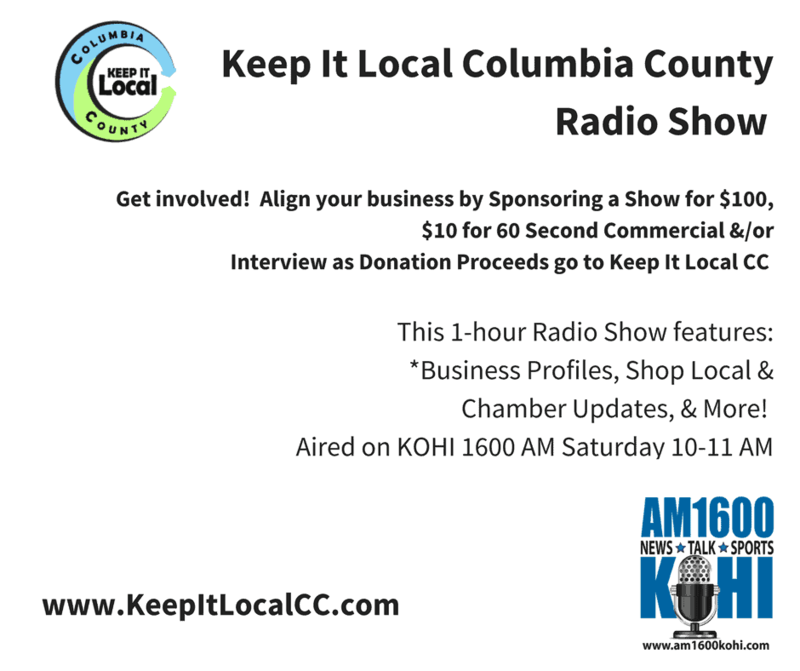 Keep it Local Columbia County Radio Show also provides updates on upcoming community events, new businesses, chamber of commerce events and Keep It Local Columbia County programs. The show airs on Saturdays at 10-11 AM on KOHI 1600 AM and Monday-Friday 1-2 PM. You can listen to the show on KOHI 1600 AM Radio or stream from www.am1600kohi.com. The show reaches an average of 4,000 listeners on the App Tune. 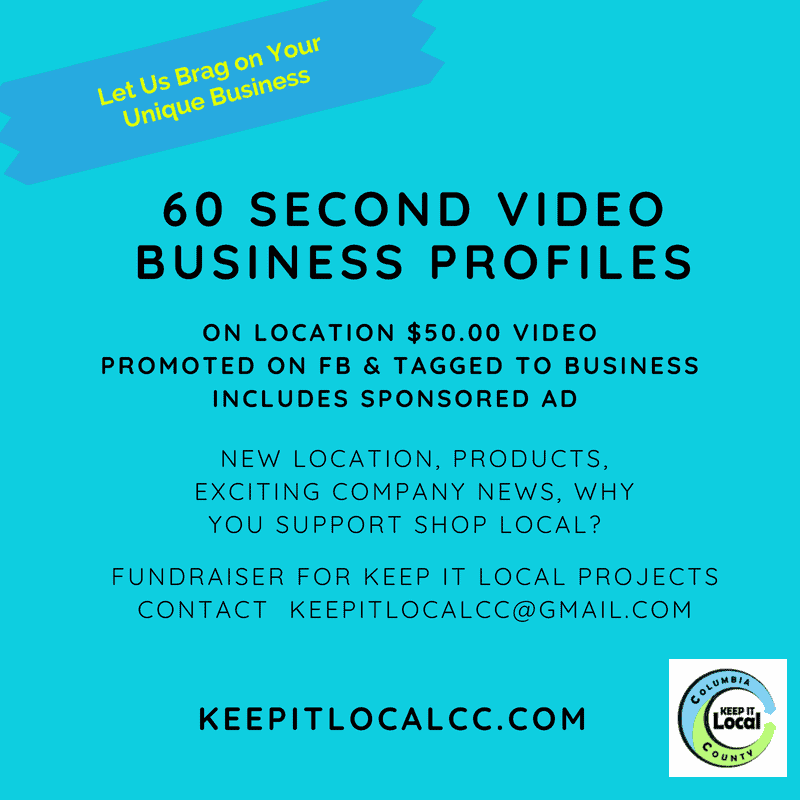 The program started in June 2017 featuring local businesses in Scappoose, Vernonia, St Helens, Rainier & Clatskanie. The shows are also linked to our website. Contact keepitlocalcc@gmail.com if you are interested in being a guest on the show or if you want to advertise.